In a bid to inject a fresh pair of hands to run the Nigerian Ports Authority (NPA), the Minister of Transportation, Mr. Chibuike Amaechi, has submitted Ms. Hadiza Bala Usman’s name to President Muhammadu Buhari to take over as the new managing director of NPA, THISDAY has learnt. Should Buhari approve the recommendation, Ms. Bala Usman, 40, will become the first female chief executive of a top tier federal government agency and of the NPA. She shall take over from Alhaji Habib Abdullahi, who was reinstated by Buhari in August 2015 as the managing director of NPA, after he had been shown the exit by former President Goodluck Jonathan in April 2015. Sources in the presidency, who confirmed that Ms. Bala Usman’s name had been sent to the president, said Amaechi had decided to make the changes in order to overhaul the NPA. Amaechi, it was gathered, is not particularly impressed with the way the NPA was being run and has decided to effect a change of the executive team as soon as possible. A presidency source said that the minute Ms. Bala Usman’s name was submitted to the president, Buhari was happy to consider the recommendation, given the past relationship he had with her father, the late Prof. Yusufu Bala Usman, who was a renowned Ahmadu Bello University (ABU) academic, historian and activist before his death some years ago. Amaechi was also believed to have recommended Ms. Bala Usman, on the grounds that two chief executives of the foremost parastatals under his ministry – Nigerian Maritime Administration and Safety Agency (NIMASA) and the Nigerian Railway Corporation (NRC) – are from the south, and he would rather have an equitable distribution of appointments into the agencies under his ministry. Ms. Bala Usman, who is currently the chief of staff to the Kaduna State Governor, Nasir el-Rufai, and a member of the All Progressives Congress (APC), was born in Zaria, Kaduna State, on January 2, 1976. She grew up close to the ABU campus where her father worked and obtained her Bachelor’s degree in 2000 from the same university and her Master’s degree from the University of Leeds in 2009. She worked for a non-governmental organisation, the Centre for Democratic Development and Research Training (CEDDERT) in Zaria, as a research assistant for a year starting in 1999. She also worked for the Bureau of Public Enterprises (BPE) when el-Rufai was the director-general of the privatisation agency and moved with him to work as his Special Assistant on Project Implementation. In 2011, she worked as Director of Strategy for the Good Governance Group (3G). 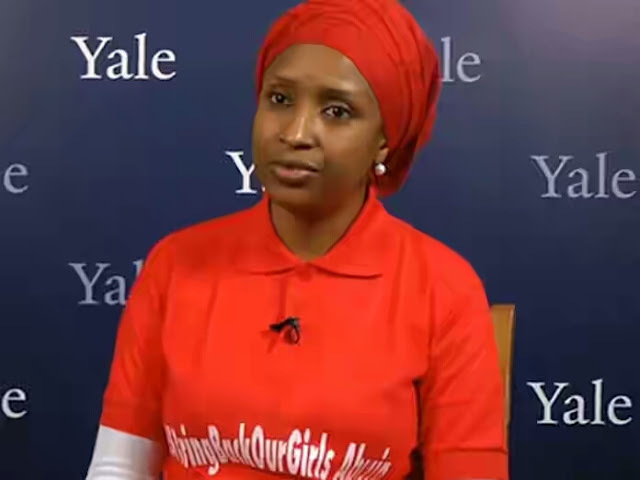 In 2015, she was appointed Chief of Staff to the Kaduna State governor. She shot to national prominence in 2014 when Boko Haram insurgents kidnapped 276 girls from their secondary school in Chibok, Borno State. Following in her father’s footsteps, Ms. Bala Usman, in conjunction with the former Minister of Education, Mrs. Oby Ezekwesili, co-founded the #BringBackOurGirls (BBOG), which brought global attention to the plight of the kidnapped schoolgirls. She is married to Dr. Tanimu Yakubu, former Chief Economic Adviser to the late President Umaru Musa Yar’Adua, and they have two sons.